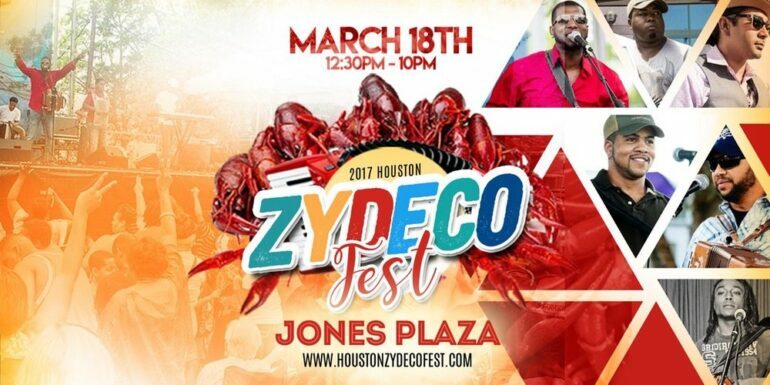 The 2017 Houston Zydeco Fest will be held on the 18th of March at the Jones Plaza on 600 Louisiana Street from 12:30pm to 10pm. It promises to be the most exquisite Zydeco experience with music and Louisiana cuisines such as Creole, BBQ and crawfish sold from food trucks. Music is a music genre that evolved from among the French Creole speakers of Southwest Louisiana in the early 1900s. It is a blend of blues, soul music, Tejano, rhythm and blues and the indigenous music of the native tribes of Louisiana. It is very popular among the Louisiana natives and the Louisiana Creoles. There is a large community of people from Louisiana living in Houston Texas. Naturally, this community has had a great influence in the area, especially in culture and music. It is because of this community and some local enthusiasts that the Zydeco Festival was started. The festival takes place once every year for a day, mostly in the first quarter, bringing together people with Louisiana origins living in Houston and the locals who appreciate Louisiana culture. The festival entails live music performances from top Zydeco musicians and bands and live mixes from DJs in that genre. There are also loads of food trucks selling Louisiana cuisines, such as the famous Casian King food truck which sells traditional Cajian and popular creole dishes. The 2016 Houston Zydeco Fest, scheduled for April 30th, was postponed due to heavy rains at the time. The organizers of this year’s festival have, however, vowed to make sure that the event takes place “come rain or shine,” as the event’s coordinator Mona Williams has insisted. The 2017 Houston Zydeco Fest presents the best Zydeco musicians on one stage. Each band will perform for an average of 75 minutes throughout the period of the festival according to Mona Wilson. Guyland and the Zydeco Blazers will take the stage at 1:00 pm and give way to Ruben Moreno and Zydeco Re-Evolution at 2:20pm. Wayne and Same Ol’ 2 Step will start their performance at 3:40pm followed by Jerome Batiste & Zydeko Players at 5:00pm. Keyun & the Zydeco Masters will take the stage at 6:30pm and Lil Nate & the Zydeco Big Timers will be last on stage performing from 8:30pm onward. DJ KO will keep the crowd entertained, spinning new and old Zydeco hits between sets. Tickets for the festival are available online at $15 per head and $20 at the gate. Children under the age of twelve will be allowed to enter free of charge. Guests can get there by car. There will be plenty of parking space on the street near Jones Plaza which is controlled by metered parking. The Theater District Parking will also provide garage parking space to those who attend the festival. With such a line up of musicians, bands and DJs, the 2017 Houston Zydeco Fest promises to present the most exquisite experience of the Louisiana culture in an area where it is deeply appreciated. There will also be plenty of food and beverages such as Barefoot wine, Lone Star Beer and plenty of soft drinks to wash it all down.